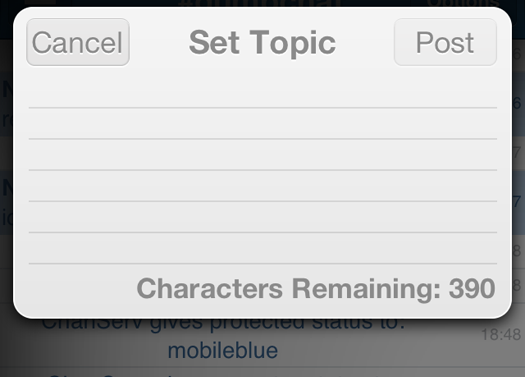 Effortless IRC use on your iPhone/iPad when you're on the go. 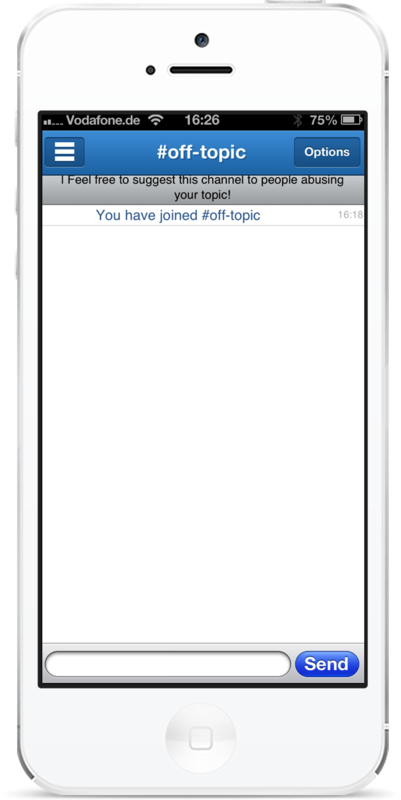 Your most needed features are simply a swipe away when you use Dump Chat for your IRC needs. Can't find a channel your looking for? Simply browse the channel list, then type in the name to find your desired channel. 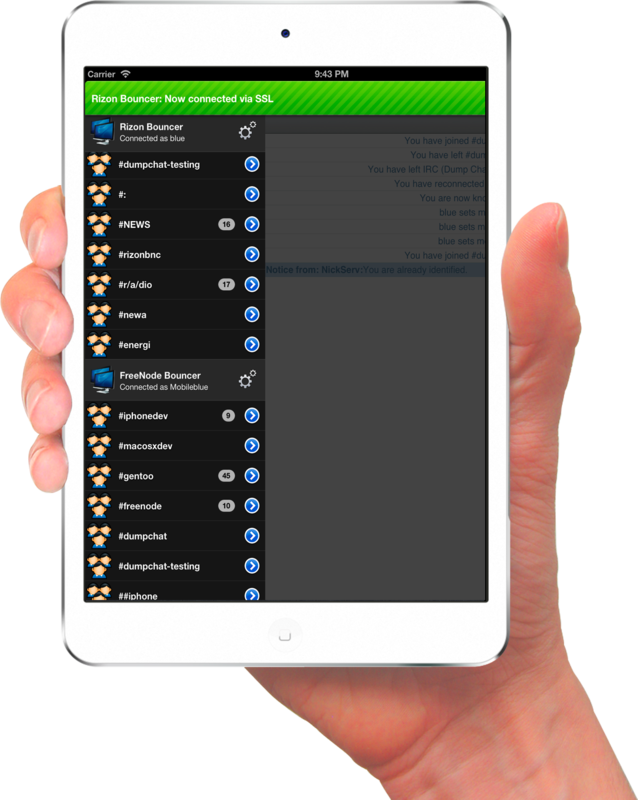 All results are cached for instant searching the next time you need another channel. One purchase for two platforms. 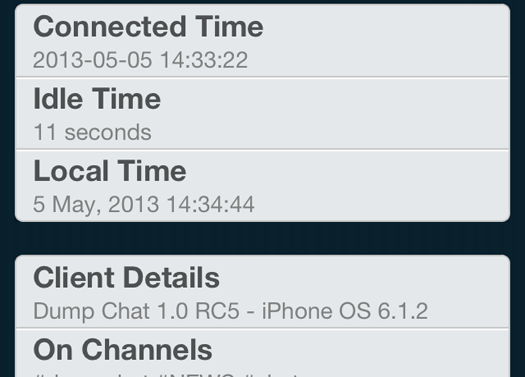 When you purchase Dump Chat, you get both the iPhone version, as well as the iPad version. Dump Chat is a universal app designed for iOS products of all sizes. iPad support included from the beginning. Dump Chat was designed to fit perfectly for both the iPhone and iPad straight from the beginning of development. Both Versions use the same design, however, they each use design patterns to fit the platform they are on. Swipe topic bar to change channel topic. With a quick swipe to the left or your right on the topic bar, you can trigger the system to allow you to change the topic of your current channel. Channel modes with a simple tap of a swich. There is no need to change your modes using the keyboard. 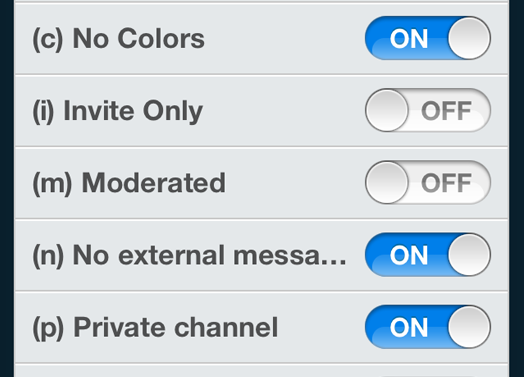 Simply go into the channel modes menu and flick a switch. If a mode requires a parameter, a dialoge will ask you for the details. Dump Chat takes advantage of the IRC v3.1/3.2 protocol to enhance your IRC experience. 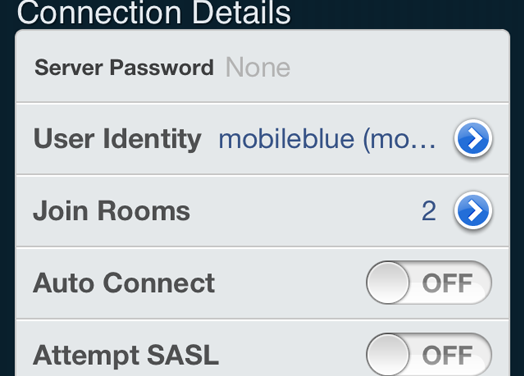 Includes support for SSL and TLS for your server and/or bouncer. Private messages, notices and error messages appear at the top of the screen without preventing you losing focus from your current conversation. 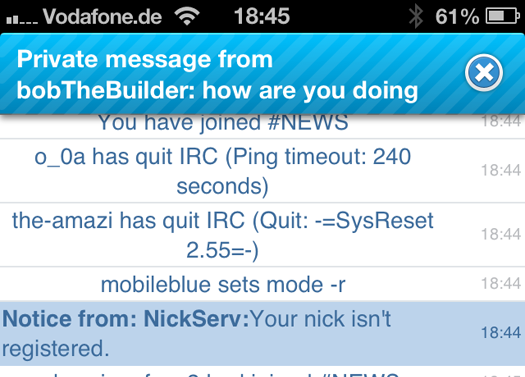 Simply tap the Detailed User Info option on an IRC user to see information about them on the active server. Someone causing a problem on your channel? 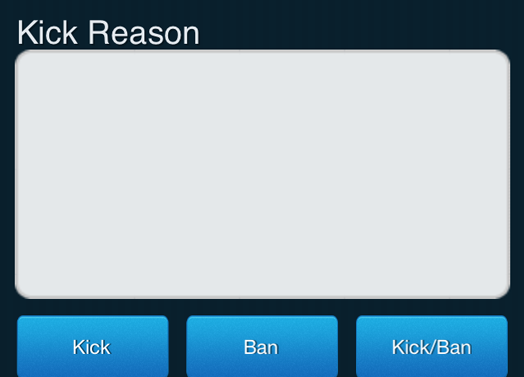 Kick and ban them swiftly with a few taps on the screen.